What a boring, uninspiring menu I have for you this week. A couple carry-overs from last week – sorry! Tonight we took family pictures and got home later than I anticipated (SOOO much fun to do family pictures with a 2-year-old, by the way), so I don’t even have a cool food picture to make up for my bad menu. But I’m bound and determined to make sure I get SOME kind of menu up each Sunday, so here we go…plus I’m sure you will all be able to inspire each other with YOUR menus. I have some fun posts planned for the week, including a GIVEAWAY! Make sure you check in! 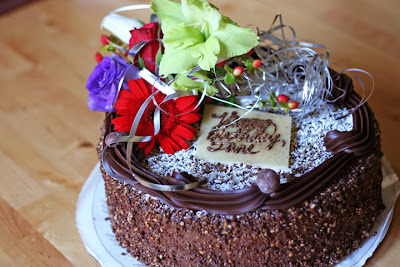 My birthday has come and gone, but I still have about 50 pounds of birthday cake in the fridge as evidence of a great day! Nate and Cate did a wonderful job making my day special. Nate came home from surfing that morning with smoothies and pastries. What a good guy. Our birthday “party” that night was complete with Leucadia Pizzeria’s BBQ Chicken Pizza (my current favorite at Leucadia), an awesome “Cars” mylar balloon picked out by Cate, some great gifts and, of course, my annual birthday favorite – The Viking from Extraordinary Desserts. 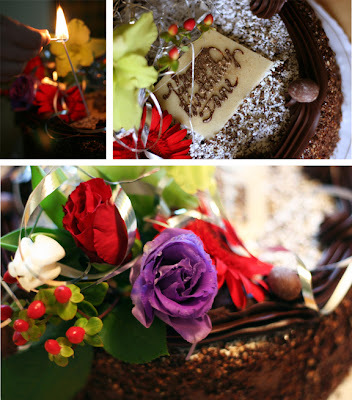 (If you live in San Diego, you MUST be sure to visit Extraordinary Desserts.) Boy am I glad I passed my prenatal glucose test earlier this week! Cate was so excited to eat the cake she kept singing “Happy Birthday to Mommy” over and over in the hopes that it would speed up the birthday party process. Unlike her mom and dad, she finished her entire piece and then asked for more! The cake was (and still is) awesome…but the best part was being with Nate and Cate, especially now that Cate LOVES celebrating our birthdays so much, which makes it all such great fun. I am truly blessed. I’ve been meaning to feature this bread for some time now…the picture has been patiently waiting. Trader Joe’s Artisan Breads are awesome. Don’t know if they are the same in every part of the country, but it’s worth checking out. 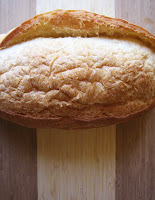 My particular favorite is the Par-Baked Filone (pictured). 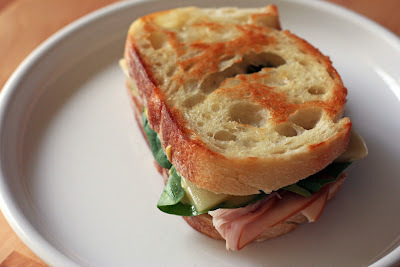 This is the bread I used for my sandwich yesterday, and why it was so pretty. The menu participation has been great since school started…I think we’re all back in our routines. Keep ’em coming! – Book Club at my place…I still need to plan the menu – I will share once it’s all set! 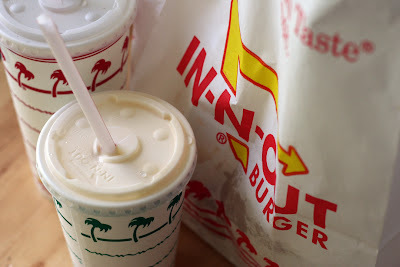 Today Nate was craving In-N-Out for lunch. He NEVER craves things, so I decided to be nice and let him have his wish. It was really hard for me. I’m such a supportive wife…even in my pregnant state. Hey everybody…I swear Dream Dinners isn’t paying me! 🙂 My sister-in-law Jessica is the one who first introduced me to Dream Dinners and she wanted to add a little something to my post from yesterday – thank you, Jessica! I just have to expand on what Jane said about Dream Dinners on Thursday’s post. I was introduced to Dream Dinners about 2 years ago. My local DD is in Orem, UT and they are the greatest. There are so many reasons I love them. One reason is the efficiency factor. You have 12 meals made within 2 hours and you don’t have to do any chopping, slicing, dicing, shopping, peeling, washing, cleaning, etc. If the recipe you are putting together calls for ½ cup of tomato sauce- the sauce has a half cup scoop sitting next to it. No guess work or fumbling around involved at all! And seriously you don’t have to clean up anything- they do it for you. WOW! Another thing I love about DD is the “flavorfulness” and variety we get. A lot of the recipes call for spices or other ingredients I don’t have in my cupboards or refrigerator which provides us with some new tastes that we like- but don’t have at home because I just don’t keep those items on hand (like capers or red wine). This place is definitely worth checking out. I guarantee you will love it and will want to go almost every month! Second only to Jane’s This Week for Dinner blog here, Dream Dinners is the next best solution to all your dinner planning and preparation troubles. Today’s Fab Fave is Dream Dinners! My friend Emily M. recently shared some of her Dream Dinners meals with me, so I joined in with her to put them together on a Saturday morning at the Poway location here in San Diego. We had a blast! My sister-in-law Jess and friend Isa have SWORN by Dream Dinners for a long time…they love the food and the price, so I’m glad I finally got in there to try it out! Dream Dinners’ Bombay Chicken with Coconut Rice, as cooked by MOI! If you’ve never heard of Dream Dinners, here’s how it works: Each month there is a list of meals to choose from. You go to their website, select your location, then select your meals, in 3- or 6-servings amounts. You must order a minimum of 36 servings, any combo of 3- & 6-servings welcome. If you order 72 servings, you qualify for a Volume Reward, which definitely cuts costs. A great way to do it is to sign up with a friend to get your Volume Reward and split your order…which is what Emily & I did. Back to our Dream Dinners visit…Emily & I arrived and all of our labels were ready to go. Each meal has a station where you put the ingredients together in Ziploc bags. 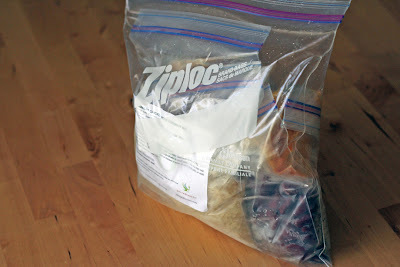 Most meals fit neatly into a 1-gallon Ziploc bag, so they don’t take up much space at all! As we were putting our meals together, they brought out some peach cobbler for us to enjoy. THAT never happens at home. Picture me trying to pour honey out of a plastic, ungreased measuring cup. Suddenly a young man pops up and says, “Would you like a spatula?” and hands one over. THAT never happens at home. Best part of all…when you’re done putting your meal together, they clean up after you! That DEFINITELY doesn’t happen at home!! Emily and I were laughing the whole time because it was just so great – we felt very pampered and everything was efficient and clean. Everyone who worked there was ubelievably friendly and they even carried our food out to the car for us! “But is the food good?” Yes it is! Everything we tried was super yummy. 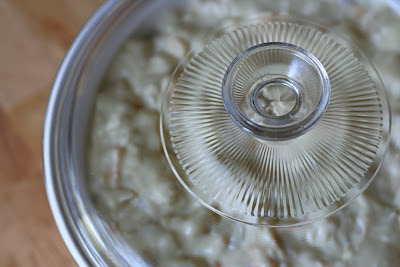 Pictured at the top of my post is the Bombay Chicken with Coconut Rice (from June’s menu). It was seriously good. It was also our last Dream Dinners meal we had in the freezer…so sad. I kept forgetting to take pictures of our DD meals and almost forgot this one as well – thanks to Nate for remembering so you can see how delectable it looks! They are easy to put together as well! “But is it affordable?” I went through and averaged this month’s meal costs: 6-serving meals averaged $25, 3-serving meals averaged $13 (prior to Volume Discount). Isa swears she saves money overall doing Dream Dinners. I don’t know if I would necessarily, based on what I spend on groceries, but I WILL say this…if you put any of these meals together on your own, it would definitely cost more than what you get it for at Dream Dinners. And the choices are things that I would never make at home, so it’s nice to mix it up! In case you feel like you don’t know me well enough…you can go check out my first ever blog interview over at the San Diego Mamas blog! As I mentioned Sunday, I love autumn…tonight I made Butternut Squash Soup and lit up my harvest spice candle. The perfect fall evening. 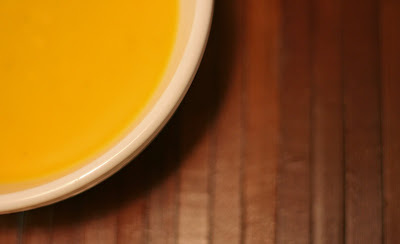 I know I’ve mentioned this soup recipe many times, including in one of my book club posts, but you really should try it. Simple ingredients that work together very nicely, and super easy to make. When I’m feeling lazy or strapped for time, I’ll peel the squash, chop into small cubes and microwave it…usually done in about 6 minutes. MUCH faster but the depth of flavor probably isn’t the same as grilling.